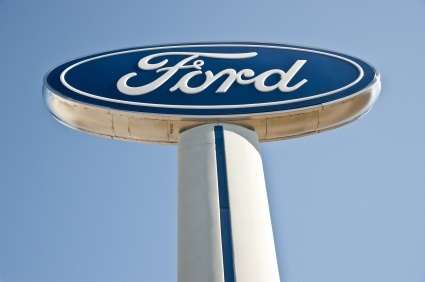 Home › News and Reviews › What’s the Future of Ford in Australia? What’s the Future of Ford in Australia? Earlier this year, the Australian car industry welcomed news of Federal Government support for the Ford and Holden brands to keep producing vehicles in Australia up to and beyond 2020. The stricken car manufacturing industry will receive a leg up thanks to pledged support from the Manufacturing Minister Kim Carr, who has pledged a $103 million investment for Ford to keep its manufacturing operations open through 2016. Australia is just one of 13 countries with the capabilities to produce cars from concept to final assembly. The automotive industry directly employs an estimated 45,000 Australians with a further estimated quarter million jobs associated with the industry. – The Ford Falcon – this full sized vehicle has been fully designed and manufactured in Australia since 1972. It has gone through 7 generations and models since its inception in Australia. – The Ford Territory – this cross over SUV was released in 2004 and was recently updated to rave reviews. The new upgrades include an optional diesel engine and the vehicle remains the bestselling vehicle in its class. The Federal Government support will likely support further updates to the designs of both vehicles which will include reduced carbon emissions in an effort to make it more attractive to consumers. Some critics are viewing the bailout as just a delay of the inevitable – that the Australian motoring manufacturing industry is headed for peril. They point out that the low sales volumes in Australia making it unfeasible to justify a viable manufacturing sector. Meanwhile, export markets are being crowded with low cost models produced in countries like China, South Africa and Thailand, making the Australian brands weak competitors on a global scale especially with the strength of the Australian dollar. But car manufacturing remains one of the most important industries in the current Australian economy alongside mining and agriculture, which also periodically receive financial support from the government. Other major manufacturing nations, including the US also invest government funds into the industry. Of course, in order for the auto industry to survive in the long term, innovation is key. Analysts cite lower emissions and modernisation as critical areas to focus on. Prime Minister Julia Gillard points to the importance of diversifying the Australian economy beyond resources production in the long term. We’re looking forward to some new updates to Ford and Holden models in the coming years. – Ford Territory remains the most popular Medium SUV with 17.2% of sales. Find Ford cars in WA. Could you imagine a future without Ford? What do you think of the Federal Government bailout?